Get Ready To Go On A Beautiful Journey As Safar From Notebook Releases Tomorrow! 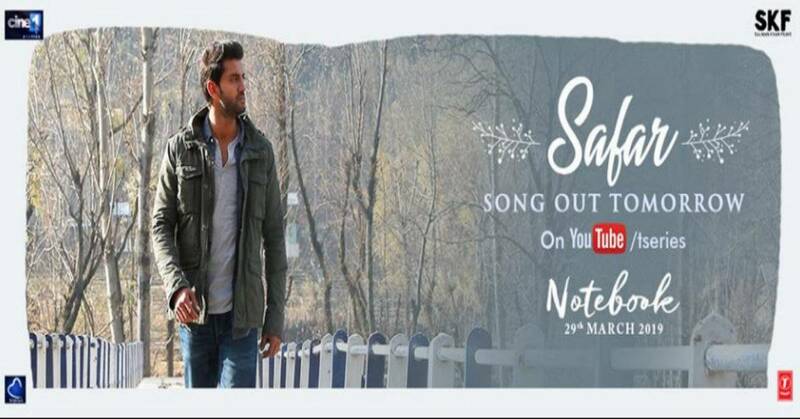 After Nai Lagda, Laila, Bumro and Main Taare, the makers of Notebook are now all set to release the fifth song of the movie titled Safar. Composed by Vishal Mishra and sung by Mohit Chauhan, the song will be out tomorrow. The songs of Notebook are undoubtedly one of the highlights of the film and are being loved by the audiences. Nai Lagda has garnered 10 million views on YouTube, Laila has 8 million views and Bumro has received 7 million views. Coming to Main Taare which is sung by Salman Khan, in just a few days, the song has got more than 8 million views. Clearly, moviegoers will now be waiting for Safar to be out.